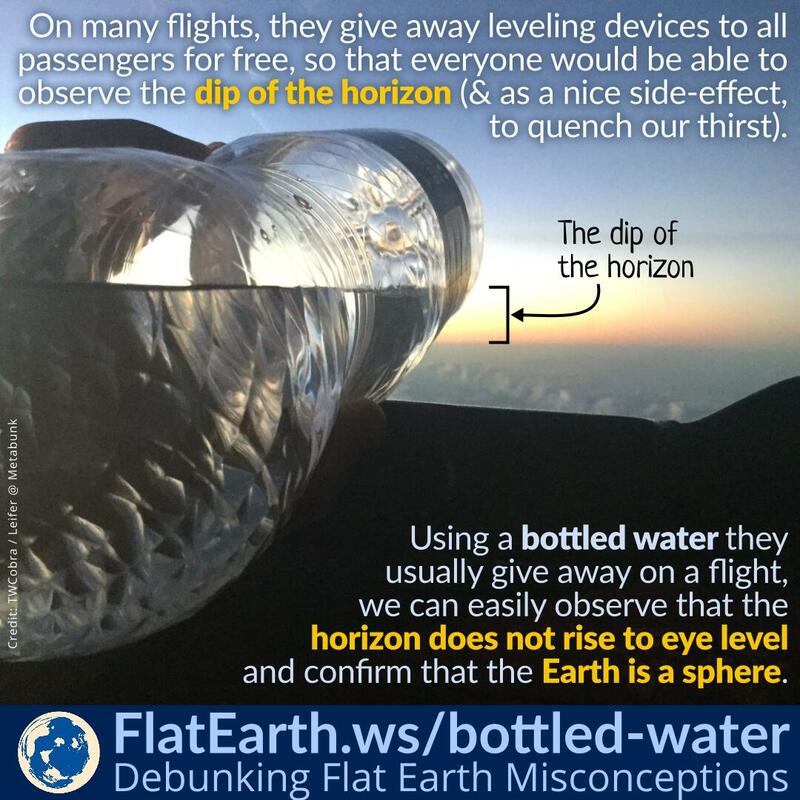 On many flights, they would give away leveling devices to all passengers for free, so that everyone would be able to observe the dip of the horizon and proves Earth is a sphere. And as a nice side effect, to quench our thirsts, too! Such devices are called ‘bottled water’. Using these simple ‘instruments’ on a flight, we can demonstrate that Earth is a sphere.